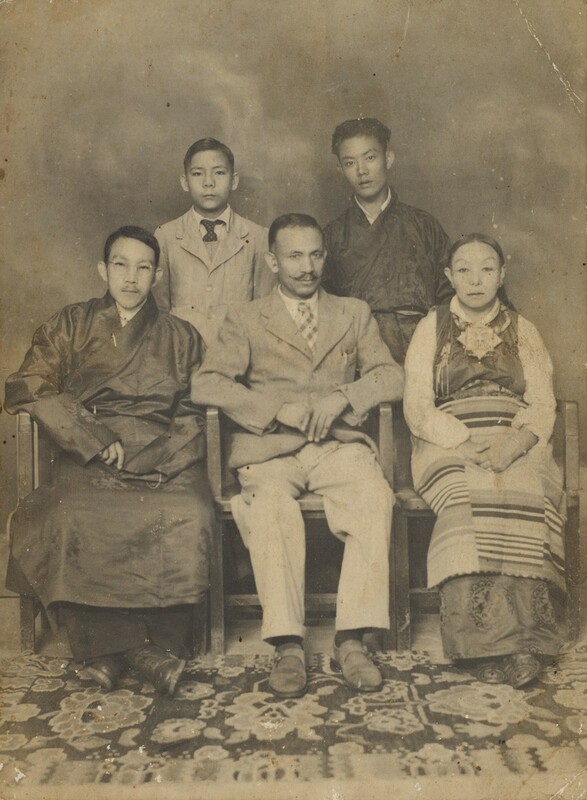 Columbia University Libraries is pleased to establish the Tharchin Collection, dedicated to the memory of Gegen Dorje Tharchin (1890-1976), also known as “Tharchin Babu.” As founder of the Tibet Mirror Press in Kalimpong, India, Gegen Dorje Tharchin was the renowned editor of the Tibet Mirror and many other Tibetan-language publications which circulated among Tibetan readers on both sides of the Himalayas, and as far as New York, from the early 1920s through the late 1960s. For more information on this important and inspiring intellectual, as well as his contributions to Tibetan thought and publishing, please see the introductory article by Dr. Paul G. Hackett and other Related Resources listed below. Link to CLIO Record and Finding Aid -- NEW! The Tibet Mirror (Tib. Yul phyogs so so'i gsar 'gyur me long) was published from 1925 to 1963 in Kalimpong, and chronicles the most dramatic social and political transformation to have occurred in Tibet during a time when vernacular writing was relatively scarce, and a Tibetan media practically non-existent. 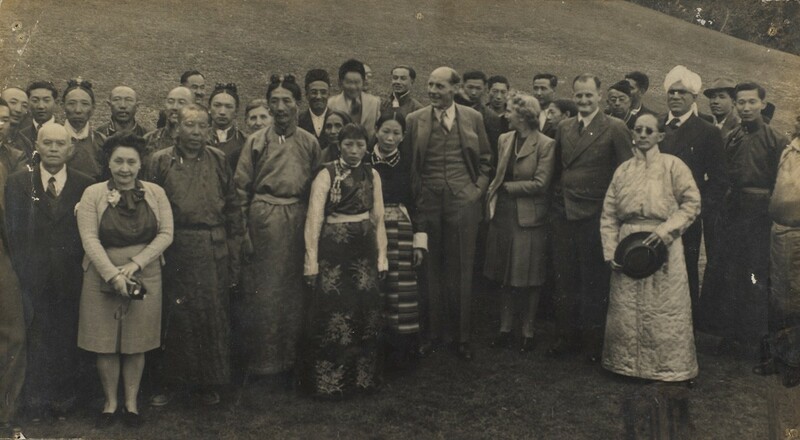 The paper also relayed information about World War II, the independence of India, and other global news to Tibetan readers in Lhasa, Gyantse, Kham, etc., and to traders and aristocrats who frequently traveled from Lhasa via the Chumbi Valley to Kalimpong, Darjeeling and Calcutta. In 2007, Paul G. Hackett (Ph.D., Religious Studies, Columbia University) and Christina Harris (Ph.D., Cultural Anthropology, City University of New York) donated to the C. V. Starr East Asian Library a total of 97 unique issues of the Tibet Mirror on behalf of the Tharchin Family. These issues, representing nearly 30% of the paper's full run, were microfilmed and digitally scanned for online public access by the Columbia University Libraries' Preservation Department and Digital Programs Division. 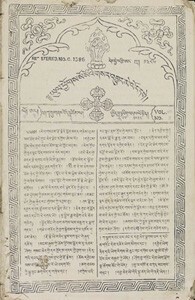 With subsequent and generous contributions by the Beineicke Rare Book and Manuscript Library at Yale University, as well as the Institute of Tibetan Studies at the Collège de France and the Musée Guimet, 70% of the newspaper's full run is now available online via the Libraries' Digital Collections. Drawing on extensive research by Paul Hackett who earlier determined the location worldwide of all extant issues of the paper, the Starr Library has subsequently reached out to library counterparts in India with the hope of providing a comprehensive run in the next couple of years. The cornerstone of the Tharchin Collection is comprised of the newspaper holdings and their digital presentation. We are deeply grateful to the editor’s late grandson, Mr. David Tharchin, who offered these papers and granted permission to Columbia University to make this valuable resource available for public access on behalf of the Tharchin Family. It is hoped that other individuals or institutions with complementary holdings of the Tibet Mirror would consider providing these on loan for the purpose of one day providing a complete online digital library. In September 2008, with the added acquisition of papers, publications, artifacts, subscription lists, and other materials once belonging to Gegen Dorje Tharchin, the C. V. Starr East Asian Library decided to launch the Tharchin Collection, comprising the newspaper holdings and this unique archival material. The Library is especially grateful to the Tharchin Family of Kalimpong, India for making these research materials available. We are also grateful to Dr. Paul Hackett whose initial contact with the Tharchin Family and contribution inspired this archive; Dr. Isrun Engelhardt (see her article below) for her expertise and for hand-delivering many items at her own expense; and to Herbert Fader who contributed many of his own research papers, and several original materials. 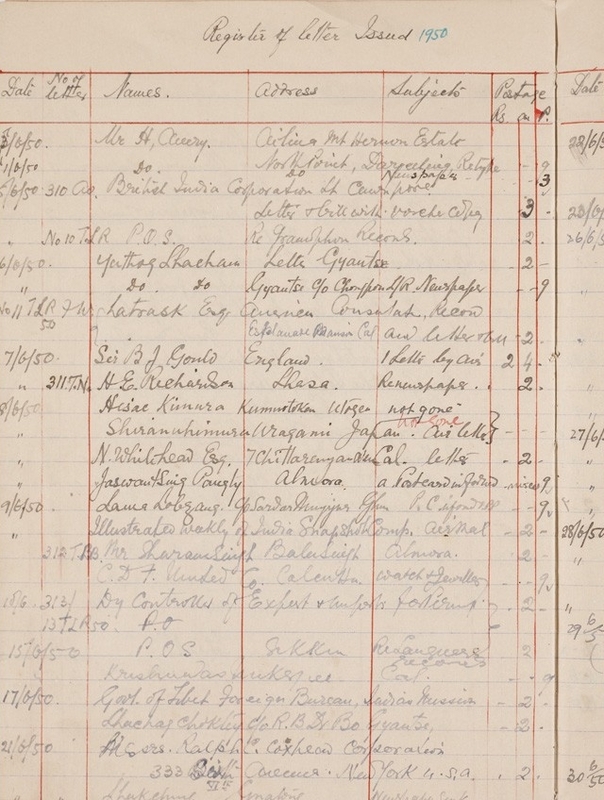 The archival material, which was partly acquired with support from the Columbia University Libraries’ Primary Resources Acquisitions Program, is now processed and available for public use. In addition to final and draft publications (in both modern and traditional formats), the Collection also contains correspondence; accounts from 1918-1924, and later years; receipts and financial statements; an imprint of a seal designed for the “Future Democratic Tibet Government;” Tibetan hymnals and bibles; scattered photographic prints; advertising solicitations; a list of cotton licenses; and a “Certificate for Traders, Muleteers and Porters.” For details on access and a link to the complete finding aid, see the bibliographic record for the Tharchin Collection in CLIO. For more information about the Tharchin Collection and library access, please contact Dr. Lauran Hartley, Tibetan Studies Librarian, C. V. Starr East Asian Library at lh2112@columbia.edu. Permission to reproduce any selection of the newspapers or Collection holdings must be obtained from the estate of Mr. David Tharchin. Robin, Françoise (2016). "Le monde au reflet du Tibet : le journal Le Miroir des nouvelles au Collège de France," La lettre du Collège de France 36 (Décembre 2013): 36-37. To download, use journal link in CLIO: https://clio.columbia.edu/catalog/11996582. Willock, Nicole (2016). "Dorjé Tarchin, the Mélong, and the Tibet Mirror Press: Negotiating Discourse on the Religious and the Secular," Himalaya, the Journal of the Association for Nepal and Himalayan Studies, Vol. 36: No. 1, Article 16. Engelhardt, Isrun (2011). "Reflections in The Tibet Mirror: News of the World, 1937-1946," in Mapping the modern in Tibet, ed. Gray Tuttle. PIATS 2006: Tibetan Studies: Proceedings of the Eleventh Seminar of the International Association for Tibetan Studies, Konigswinter. [Andiast, Switzerland]: IITBS, International Institute for Tibetan and Buddhist Studies, GmbH. Sawerthal, Anna (2011). The Melong: An example of the formation of a Tibetan press. M.A. thesis, University of Vienna, Austria. Fader, Herbert (2002-2009). Called from Obscurity: the life and times of a true son of Tibet, God's humble servant from Poo, Gergan Dorje Tharchin. 3 vols. Kalimpong India: Tibet Mirror Press. Dawa Norbu (1998). "Pioneer and patriot: An extract from an interview with Rev. G. Tharchin," Lungta 11. Originally printed in Tibetan Review, vol. X, no. 12 (December 1975). Tashi Tsering (1998). "The life of Rev. G. Tharchin: missionary and pioneer," Lungta 11.